Half-Pint Resale is a proud sponsor of the upcoming Madison Listen To Your Mother! 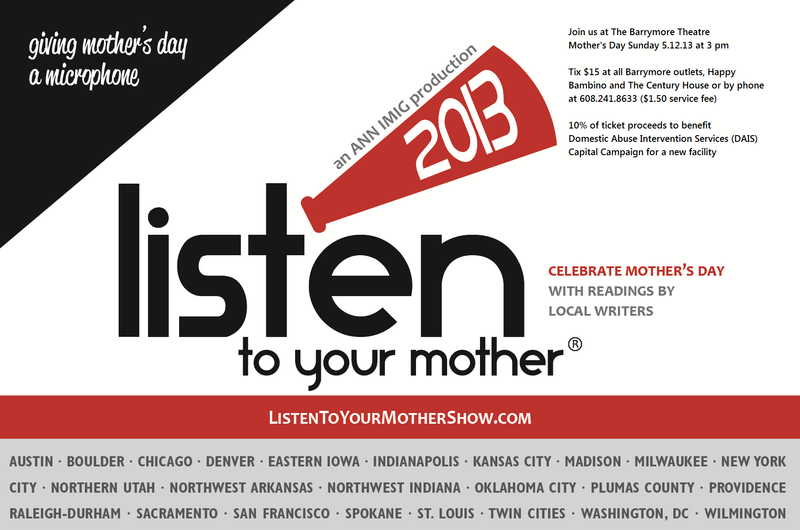 LTYM is a national series of live readings by local writers in celebration of Mother’s Day. So, take Mother’s Day beyond brunch and join our Madison community celebration of Motherhood and a national Mother’s Day Movement! LISTEN TO YOUR MOTHER 2013 has community-based productions in 24 communities throughout the United States, and was started right here in Madison, WI. Grab your husband, or a girlfriend, or your sister or mom –and buy your tickets now!